English, Spanish or German languages available. 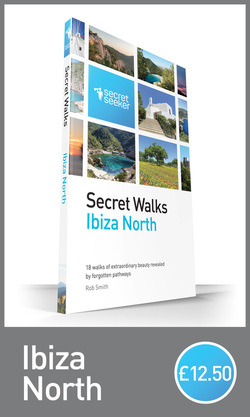 Filled with lavish photography, detailed maps and clearly written walk instructions, you will find your way to the very best that northern Ibiza has to offer. - 18 spectacular walking routes of varying length and difficulty. 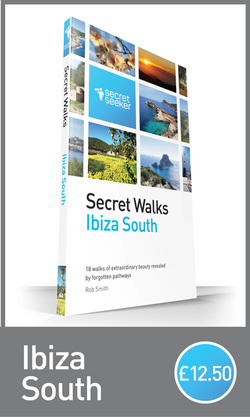 - Detours and shortcuts that take you to secret beaches or incredible viewpoints. - Details of how to combine, shorten and adapt the routes for multiple variations. - The best restaurants and cafes to stop at either during or after a walk. - 12 ‘Extra Step’ articles that reveal surprising secrets about island life.